“The user category comes with a Mobile-directory that helps users locate merchants like restaurants, nightlife, salons, spas, laundry, movie theaters amongst others within their vicinity with a single click. The user category also allows subscribers read, share and write reviews of their experiences so that other users can make informed decisions on which merchant to patronize”. 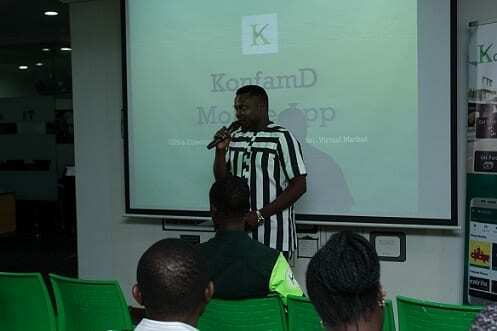 “We have a number of popular comedians like McMacopolo, Comedian Ebiye, Oluwadolarz amongst many others whose skits are domiciled in the KonfamD app. The exciting thing is that app users get paid for watching the skit which they can spend on airtime or at any of the partner merchant locations. 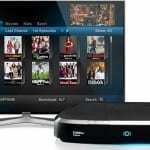 They also have the option of transferring their earnings to other users or they could simply cash out”. According to Ojosipe, the mobile app already boasts a host of partner merchants who are signed up on the platform and will get access to comprehensive consumer reports and trends of how the product & service is perceived from the reviews generated by the users thus giving room for the brand to make informed strategic decisions.